ORS offers a variety of specialized Analytical Testing Services to assist you in the Quality Control, Process Monitoring, Failure Investigation or Research & Development of your products. Our goal is to provide you with analytical tools to aid in maintaining and improving the quality of your products. A comprehensive suite of tests evaluating the quality and integrity of microelectronic components and manufacturing practices. Internal Vapor Analysis (IVA®) is a versatile and precise test procedure developed at ORS for the Residual Gas Analysis (RGA) of hermetic packages. The IVA® method utilizes advanced Mass Spectrometry techniques to accurately determine the relative concentrations of gas or vapor content in hermetic devices, modules, packages, and inclusions. Internal Vapor Analysis (IVA®) may now be performed by Gas Chromatography with Mass Spectrometry (GC/MS) to identify unknown volatile and semi-volatile organics in hermetic devices, modules, and packages. ORS has developed a procedure to determine relative concentrations of gases in these packages using a modified GC sample inlet designed at ORS. The GC/MS procedure allows positive identification of unknown organics not traditionally identified during RGA analysis. This procedure is an excellent complement to RGA testing for a “complete picture” of internal vapors. ORS offers two forms of tracer gas, non-destructive, hermeticity testing. Our test methods are designed to determine the quality of a hermetic seal. Fine leak rates are quantified using one of our two types of helium mass spectrometers or a Kr-85 Scintillation Detector. Gross leak detection is performed with the HSHLD oxygen detection method, perfluorocarbons, dye penetrants or Kr85 gross leak pressurization. Specialized testing capabilities to measure the leak rate of various other gases or compounds (i.e. Argon, Acetic Acid, etc.) are also available. The Material Outgassing Characterization test, developed at ORS, is a qualitative and quantitative analysis of the off-gassed substances desorbed from bulk materials. Outgassing studies may be useful in determining hydrogen desorption rates, adhesive outgassing species (pre- and post-cure), and to characterize other organic bulk materials used in high-reliability components, including polymers, coatings, and epoxies. This method can even be modified to identify organic contamination on materials. Numerous techniques are available to identify volatile and semi-volatile organic compounds and impurities from a variety of sample matrices. Sensitivity in the ppb range is commonly obtained. A useful technique to identify low level “unknown” organic compounds in IVA® data. 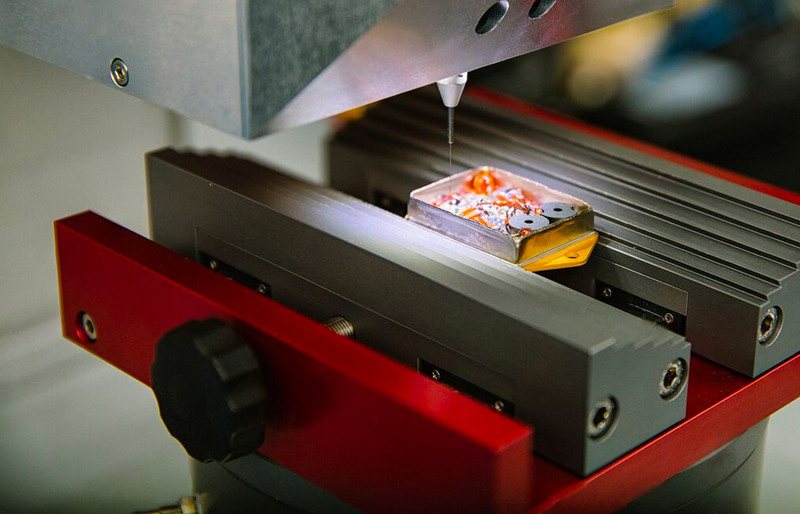 Typically performed on microelectronic devices to determine or evaluate the inherent design and robustness of a component by examining its physical characteristics and quality of workmanship. Disassembly, testing and inspection of microelectronic devices to determine conformance with applicable design, process and procurement requirements. ORS has a wide range of mechanical testing capabilities to evaluate the mechanical integrity of electronic components and assemblies. Random Vibration and Mechanical Shock are very effective at identifying weaknesses in construction. Other stresses like Solder Heat Resistance can reveal more subtle failure mechanisms. Temperature Cycling, Liquid-to-Liquid Thermal Shock and Damp Heat can be very stressful on devices. Biased Aging and Highly Accelerated Stress Testing (HAST) can determine the long-term lifetime of devices. ORS has environmental chambers and biasing capabilities to test almost any device. A comprehensive examination of failed devices or components to verify a reported failure mode, identify the failure mechanism, and recommend corrective actions. Characterization and identification of the surface, interfaces, and bulk composition of materials. A variety of analytical techniques are available to generate data supporting the structure, purity and physical characteristics of chemical samples submitted for analysis. Voids, delaminations, cracks and other anomalies in PEM’s, ceramic capacitors, flip chips, BGA’s, and other products may be detected by this non-destructive technique. Multiple measurement modes including B-Scan, C-Scan and Through-Scan Transmission provide flexible means for thorough evaluation. This non-destructive technique offers immediate and thorough analysis of complex structures of varying densities. Inspection of assemblies can be performed while moving, rotating, and tilting the sample with sub-micron defect recognition.